A distinctive element of the membership of the BSA is that it has a wide and collaborative membership approach. 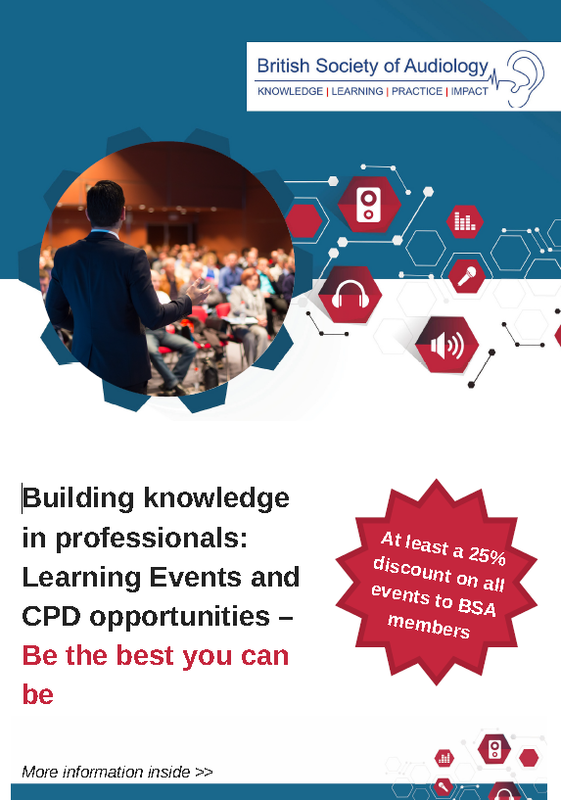 This encompasses academic, researchers and the community from the clinical world of Audiology and members of the public in advancing the knowledge, learning, practice and impact in hearing and balance. We will encourage a number of new and existing ways of achieving this, including greater opportunities for networking. We will explore joint working across the Special Interest Groups with external agencies and each other at events throughout the year. A key role of the society is to enhance opportunities for inter-disciplinary networking to maximise the potential of collaboration from clinical and academic colleagues; and to provide a variety of opportunities to bring the range of multi-disciplines together, to include those from other disciplines. A key role of the BSA is to enhance opportunities for inter-disciplinary networking and learning to maximise the potential of collaboration from clinical and academic colleagues. The Learning & Events Group (LEG) are responsible for coordinating a full range of learning opportunities through both virtual and face to face opportunities across the UK through the year. facilitates inter-professional learning within the Society and with other relevant professional bodies. encourages networking and support learning opportunities within the Society and across organisations involving healthcare professions, research organisations, the commercial sector, the third sector, policymakers, commissioners, and patients. engages with the BSA membership to establish their learning requirements.